Happy Birthday East End Preservation Society! 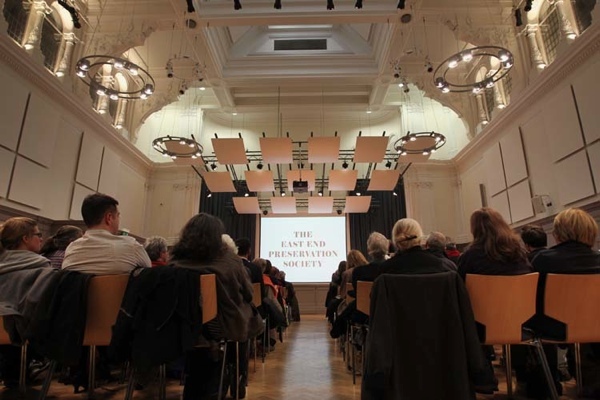 It was a year ago this week that several hundred people gathered in the Great Hall at the Bishopsgate Institute to found The East End Preservation Society, as a means to unite everyone who cares about the future of the East End and its built environment. 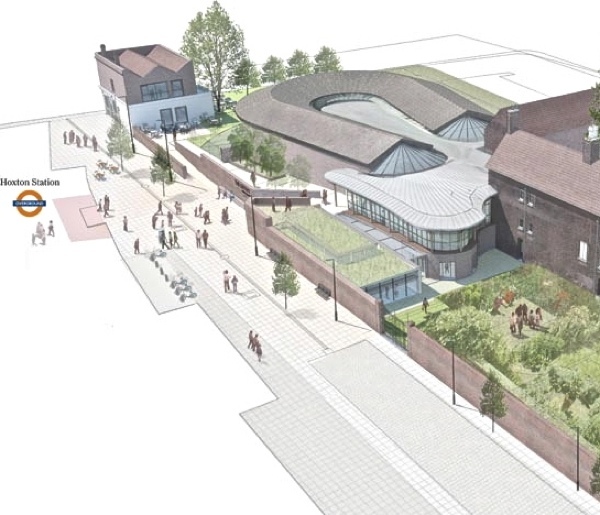 The creation of the Society was inspired by the saving of the Marquis of Lansdowne from demolition and in response to the looming prospect of a slew of large-scale development proposals threatening to blight the East End for generations to come. Early on, the Society won a victory in Whitechapel when a characterful nineteenth century terrace, which had been condemned, was revealed to be the last fragment of the Pavilion Theatre complex and was subsequently rescued from destruction. Yet the last year has also witnessed the tragic demolition of the Queen Elizabeth Children’s Hospital soon to be followed by the Spitalfields Fruit & Wool Exchange. 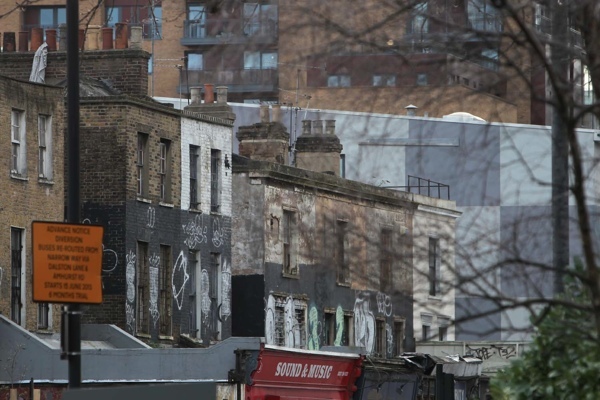 Meanwhile, in the last few days, a brave initiative by Open Dalston failed to prevent Hackney Council proceeding to demolish the Georgian terrace in Dalston Lane as part of a “Conservation-led” scheme. 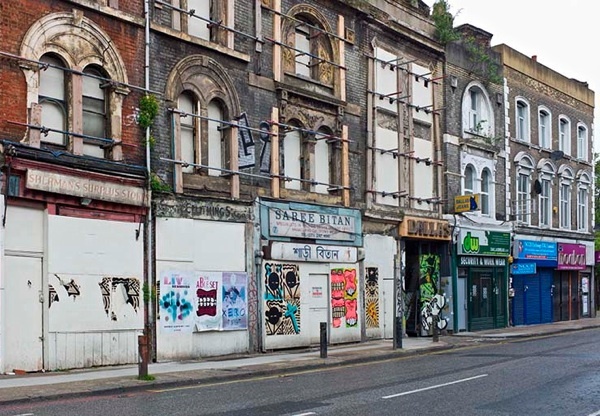 To address these challenges at the first opportunity, a team of Conservation specialists have come together who now meet monthly to consider all relevant planning applications and devise the most effective letters of response on behalf of The East End Preservation Society. 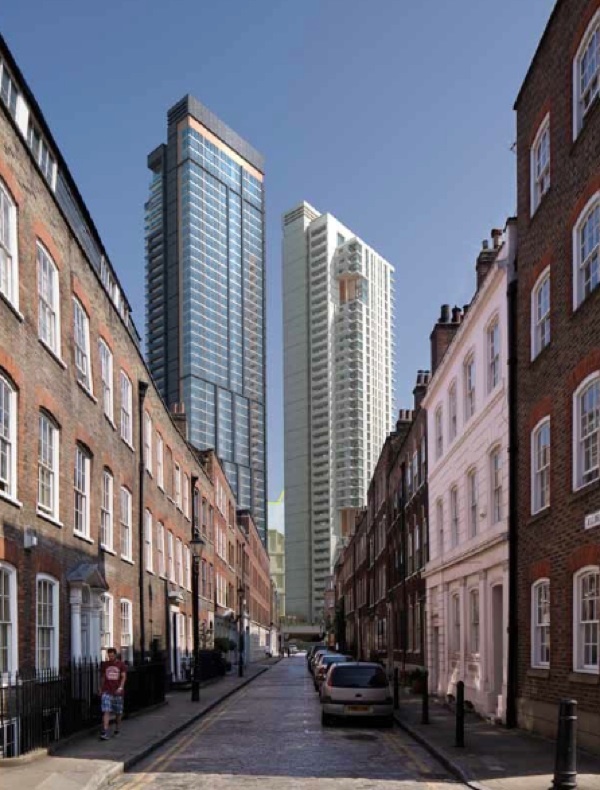 In parallel to this, there is a popular programme of public talks upon pertinent subjects – such as Community Planning and The History of the Bishopsgate Goodsyard – and tickets for all these events always sell out in advance. A lively facebook page highlights campaigns arising in the East End and permits anyone to bring new cases to the attention of the Society. 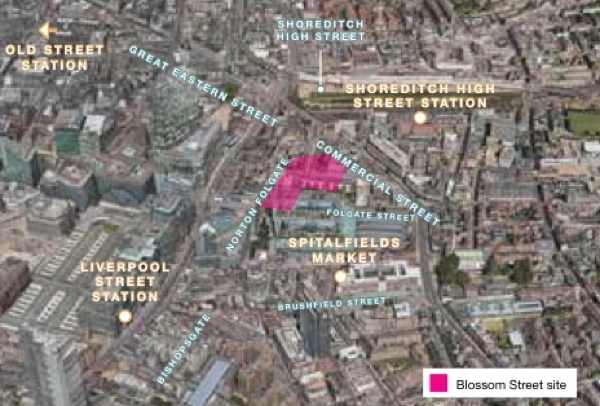 At this moment the Society faces the largest battle it is ever likely to face, in the form of the monstrous proposals for the Bishopsgate Goodsyard, described recently as “the biggest thing to hit Shoreditch since the plague” and “degeneration not regeneration” by two eloquent critics. The Society has created a clear guide that explains how to object, outlining the salient points which carry weight with planning committees. 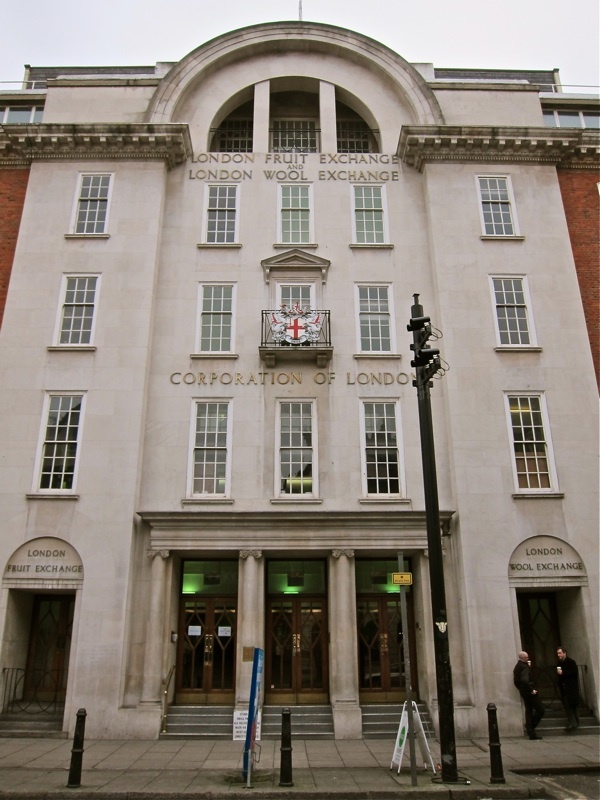 Next year, the Society hopes to raise the level of debate upon the current planning crisis in London with the Inaugural CR Ashbee Memorial Lecture in the Great Hall at the Bishopsgate Institute. 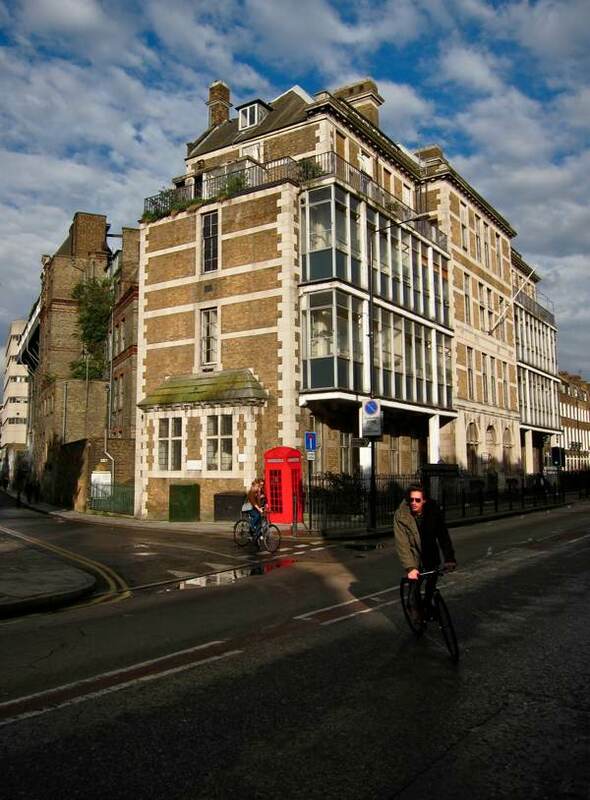 We choose to remember CR Ashbee (1863-1942) as founder of the Guild of Handicrafts in the East End, as a pioneer of the Conservation Movement, and a Progressive Architect and Designer whose influence was seminal upon Frank Lloyd Wright among many others. 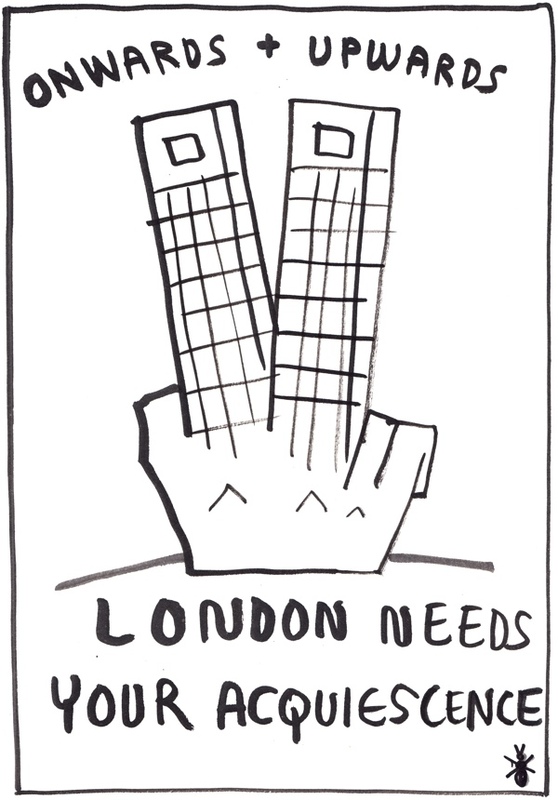 The intention of this endeavour is to invite high-profile speakers to address the most pressing questions for the future of London and its built environment, stimulating a debate that can redress the contemporary situation. 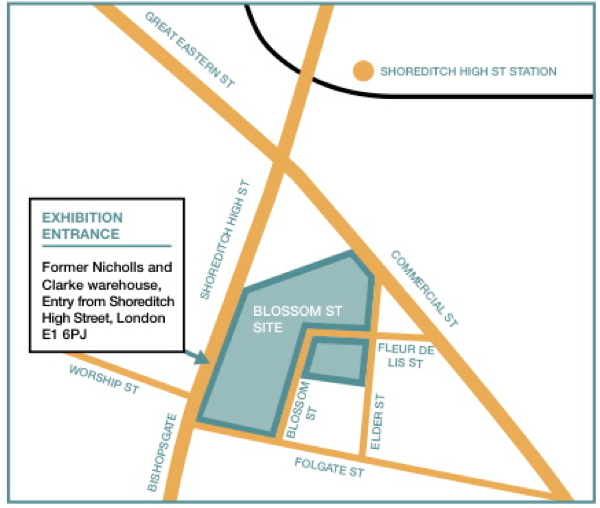 But before we get to that, British Land who demolished the best part of the Georgian houses in Elder St in the nineteen-seventies before they were halted by the opposition of Dan Cruickshank, John Betjeman and others, have returned with a new scheme to redevelop Norton Folgate. 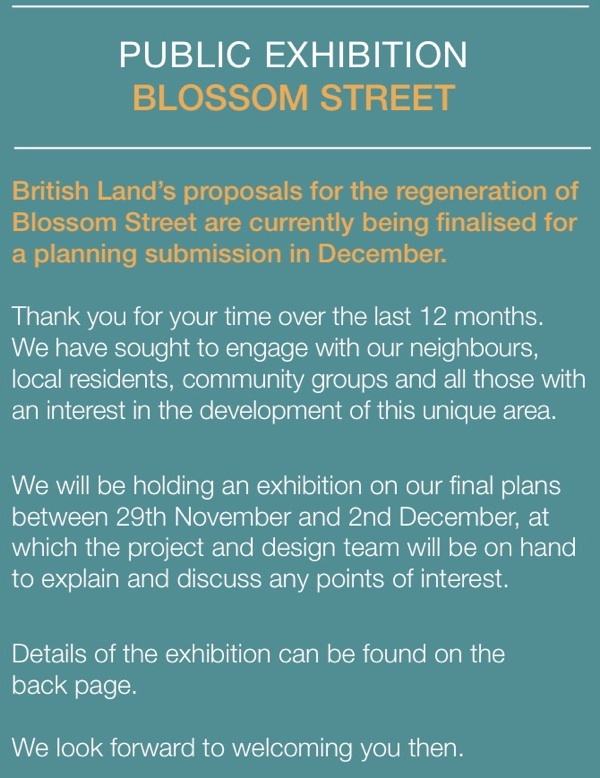 In the next few days, they are staging a public exhibition of their final proposals prior to submitting the planning application in December. Readers are encouraged to visit and record their responses in writing at this event. I’m sorry to say that (According to the CAMRA publication “London Drinker”) the Geffrye Museum still haven’t got it right. They are going to re-open the Marquis … as a tea & coffee bar, with no Beer or alchohol. The shining examples of restored & open pubs in museums at Blists Hill & Beamish has been studiously ignored. Happy 1st birthday! Wishing you lots of success in the next years!